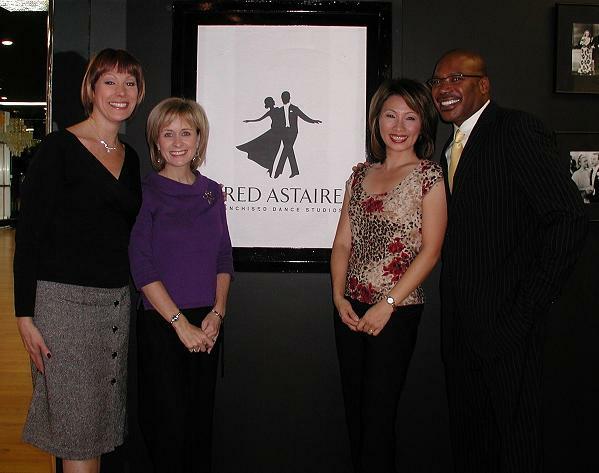 Tapping into the explosive popularity of ABC-TV’s red-hot Dancing With the Stars, we worked with our client, Chicagoland Fred Astaire Dance Studios, to coordinate a week-long ballroom dance competition broadcast live on Chicago’s top-rated ABC-7 Morning News. For four consecutive days, Fred Astaire Dance Studio students were teamed with their instructors, to Rhumba, ChaCha, and Tango their way to the top while hundreds of thousands of Morning News viewers watched and voted from home. When the tabulations of viewer votes were combined with that of ABC-7 Morning News team judges Tracy Butler, Hosea Sanders, Judy Tsu, and Roz Varon, the final winner was announced and revealed on day number five of the week-long “Last Dance” competition. Click to see more ABC-7 “Last Dance” details.